Many parents of children with autism have longed to know how their children perceive the world. Of course, every child is unique, regardless of whether or not he or she has autism. Each child will have a unique perspective on the world. But for children with autism, the way in which they perceive the world is generally quite different from typically developing children. Children with autism often experience sensory imbalances. This can cause them to either be overstimulated or under-stimulated by sensory stimuli, such as lights, noises, textures, and odors. Children with autism often have difficulty processing information or they focus on irrelevant information. For example, a child with autism may focus on the pattern of the wallpaper, rather than on a conversation. It can be difficult for children with autism to make sense of all the information they’re trying to process. These struggles are thought to be the cause of unusual or disruptive behaviors. Children who engage in these behaviors may be trying to communicate or regain control over their situations. With the help of the autism therapists at The Behavior Exchange, your family can develop a better understanding of your child and his or her unique needs. Call (972) 312-8733 to learn about our behavior classes near Dallas. Parents of children with autism can work closely with an autism therapist to learn how to implement effective intervention techniques during a crisis situation. When a crisis occurs, the primary focus must be on maintaining the safety of the child and others involved. For a child with autism, a crisis is generally defined as behaviors that can potentially cause harm to the child or others including aggression and self-injury. As you’ll learn by watching this video, you can work with your child’s autism therapist to develop strategies for preventing and coping with future crises. These strategies may include recognizing the triggers for a meltdown and working with an autism therapist to develop an individualized plan with proactive de-escalation strategies. Families in Plano and the surrounding areas can find the help they need at The Behavior Exchange. Call (972) 312-8733 to schedule a consultation with an autism therapist or visit our website to learn more about our clinically proven approach to facilitating ideal outcomes. If your child was recently diagnosed with autism, you’re probably trying to learn as much about it as possible. Autism is a developmental disorder that has a broad range of potential symptoms. Communication impairment, behavioral problems, and social issues are common among children with autism. However, it’s important to realize that every individual with autism experiences the disorder in a unique way. The incidence rate of autism has been steadily increasing in the U.S. According to Autism Speaks, one in 68 children is affected by autism. More boys than girls develop autism. In fact, one out of every 42 boys is affected by this developmental disorder. Ongoing research into the possible causes of autism has linked the disorder to genetics. While the symptoms of autism spectrum disorder (ASD) can significantly impair function, autism therapists can use proven techniques to help children overcome barriers. The Behavior Exchange can help your child reach his or her full potential by using the principles of Applied Behavior Analysis (ABA), an evidence-based approach to addressing autism symptoms. To learn more about our behavior classes , you can call our location near Dallas at (972) 312-8733. Wandering is alarmingly common among children with autism spectrum disorder (ASD). Not only can it be extremely distressing for children and their families, but wandering is also dangerous. Children with autism who wander are more likely to suffer close calls with traffic accidents and drowning incidents, and they may be unable to communicate their situation to passersby to obtain help. Talk to your child’s autism therapist about methods of preventing wandering and work closely with your child’s school to improve safety measures. Cases of wandering in children with autism can often be prevented by installing a home security system. You can have alarms installed on your doors to alert you if your child tries to leave. You might also consider installing hook and eye locks on your doors. Be sure to place them above your child’s reach. Another prevention strategy is having fencing installed around your home. An autism therapist can teach your child to recognize stop signs and to obey them. It can be helpful to place printable versions of stop signs on the interior of all of your doors and windows. GPS or radiofrequency tracking devices can locate your child in the event that he or she does wander off. Contact your community’s law enforcement for information on these tracking devices. If your child will tolerate wearing a medical ID bracelet fill one out to indicate that your child has autism. Consider finding an autism therapist who is willing to meet with school administrators about your child’s needs. An autism therapist can raise awareness about the prevalence and dangers of wandering among children. You might also consider meeting with the school’s security team to review security measures, recommend improved protocols, and alert them about your child’s challenges. Working with an autism therapist at The Behavior Exchange can help your child replace challenging behaviors with appropriate ones. In addition, our autism specialists work closely with schools in the Dallas and Plano areas to help school staff understand behavioral interventions and other critical facets of teaching a child with autism. To speak with a friendly member of our team, please call (972) 312-8733. It’s perfectly normal for children to develop at different rates. However, if your child is lagging behind on some developmental milestones, it’s best to err on the side of caution and have him or her evaluated for autism spectrum disorder (ASD). While some of the signs of autism may be detectable as early as six months, experts generally wait to diagnose autism until 18 months because the symptoms can continue to evolve for a while. Detecting autism in very young children is important for a number of reasons. Many aspects of autism are still hotly debated, including the possibility that environmental factors could contribute to its development. However, autism experts do agree that the early detection of autism greatly contributes to a favorable outcome. This is because the sooner a child is found to have autism, the quicker their parents can arrange for autism therapy services . Children who can undergo intensive Applied Behavior Analysis (ABA) therapy early in life tend to experience improved function and manageable symptoms. As children enter school, the symptoms of autism tend to become more apparent. This is often because a particular child’s behavior and abilities is more readily comparable to those of his or her classmates. Unfortunately, when autism isn’t detected until a child is already in school, he or she may experience academic setbacks. 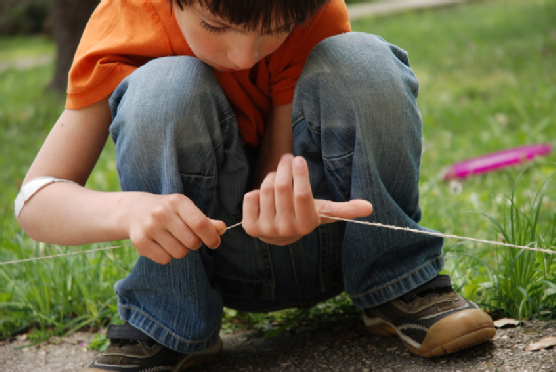 Problems with communication and social interactions can hinder a youngster’s progress. When autism is detected early enough, parents can already see improvements in their children before they begin school. The symptoms of autism are challenging for families. Although parents certainly want to help their youngsters in any way they can, it can be difficult to know how to respond to a child with autism. Families who detect autism early can take advantage of parent training courses. These types of classes are geared toward family empowerment and can help parents contribute to a child’s success. Parents and caretakers are encouraged to enroll in parent training courses at The Behavior Exchange, which can empower your family to make a positive difference in your child’s life. 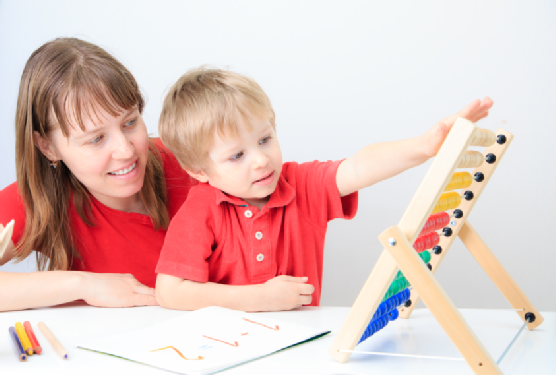 Our autism therapists also offer The Behavior Exchange Early-Start Program (B.E.E.S.) to help preschoolers get ready for school success! Parents of youngsters with autism can call our location near Dallas at (972) 312-8733 for more information about our programs . Children with autism can display challenging behaviors. Parents often wonder exactly how challenging behaviors are defined. Generally, autism therapists define them as any behaviors that reduce the child’s quality of life, such as by interfering with his or her family life or social life. Behaviors that prevent a child from functioning within certain settings, such as classrooms, are also considered challenging behaviors. You can hear more about this topic by watching this video, which is presented by Autism Speaks. The video explains that aggressive and self-injurious behaviors are often a result of an inability to communicate what an individual wants. This autism expert gives an example of a case study of a boy who began biting his teachers, which was uncharacteristic for him. They eventually discovered that his aggressive behavior was due to excessively tight shoelaces. At The Behavior Exchange, our autism therapists can empower children and families to overcome challenging behaviors by using effective, evidence-based strategies. Families in the Dallas and Plano areas can give us a call at (972) 312-8733. A diagnosis of autism can change the life of not only the child with it but also the lives of his parents, siblings, and other relatives. For the parents of children with autism, it’s important to both address the immediate demands of their children and the more far-reaching needs of their families. Understanding how autism can impact family dynamics is the first step toward cultivating a happy and healthy home life. Upon having children, many parents quickly realize how difficult it can be to find time for themselves. When one of those children has autism, the time, energy, and emotional demands on parents can considerably increase . However, being able to raise a healthy child with autism means having a strong marital bond. To successfully cope with and address the needs of their families, parents must also nurture their own relationships. Communication is key for developing a enduring marriage, as well as private time away from children. Regardless of age, the siblings of children with autism can feel the impact of a behavior disorder diagnosis. They may note the increased time and attention spent with a brother or sister with autism, or they may feel the emotional effects of seeing a sibling display unusual behaviors while in public or with friends. Studies indicate that many children who have siblings with autism tend to be emotionally stable, but parents should still take steps to ensure the wellbeing of their other children. Despite the demands of having a child with autism, parents should make regular efforts to develop strong relationships with all of their children. Spending the day at a party or recreational venue may be a common occurrence for many families, but parents who have children with autism may hesitate to bring their kids to unfamiliar places where they could experience disruptive behaviors. Yet behavior disorders specialists encourage parents to maintain an active family life. 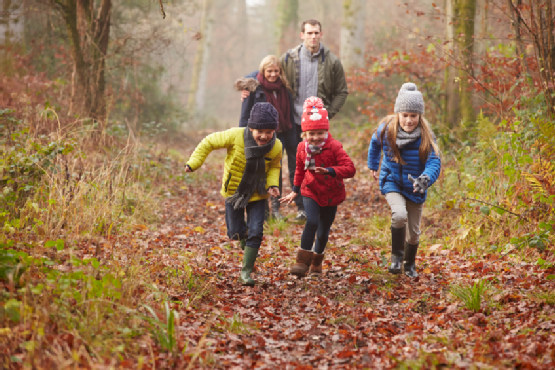 Though parents may need to be more selective in their outing choices, they need not refrain from enjoyable activities that can ultimately enhance their bond as a family. The Behavior Exchange in Dallas helps children with autism thrive. Our behavior classes can teach students how to effectively interact with others and enjoy family activities. For more information, call (972) 312-8733 or visit our website . While behavior disorder specialists may classify certain behavior disorders into general categories, the children who are diagnosed with these conditions are wholly distinct in their needs. That is why The Behavior Exchange offers one-on-one therapy for children in the greater Dallas area. Being able to spend time alone with each of our students allows our specialists to focus on each child’s specific behaviors. Especially when a child requires language, compliance, or motor skills support, having one-on-one therapy sessions can prove the ideal way to address those issues. Our individual classes also allow our behavior disorder specialists to closely monitor and accurately assess the improvement of each student and determine whether he or she is ready for group classes to further enhance their development. Would you like to learn more about our one-on-one therapy services? Then call The Behavior Exchange in Dallas at (972) 312-8733. Our knowledgeable and friendly staff would be happy to discuss your questions and guide you to the proper therapy options. When parents hear their babies coo or babble, they may not realize just how important those nonsensical sounds are to their children’s development. Well before infants verbalize their first recognizable word, they are learning and testing their language abilities in a variety of ways. Though children can develop their communication skills over varying periods of time, parents should carefully monitor their kids and observe for any language delays . Language delays encompass more than just verbal expression. Parents can often spot the signs of a language problem before their children would normally start speaking. For instance, even before they can talk, children can understand words and commands from other people. 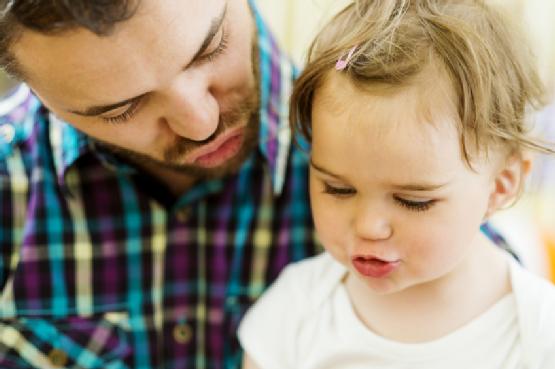 An infant who cannot respond to a simple request from his parent may have a language delay. In some cases, a lack of attention to verbal interaction may indicate a hearing problem. Children can also use their bodies to communicate before they can speak. Instead of asking for a bottle or toy, a child may point to it. Infants who cannot display these behaviors by their first birthdays may be experiencing language difficulties. Language delays may also be to blame for toddlers who cannot express themselves through words by the time they turn two years old. Because children can develop according to varying timetables, some parents may be reluctant to discuss their concerns with a behavior disorder specialist. Others may wait with the hope that their children simply need more time to catch up to their peers. If a language delay is present, though, the lack of immediate professional treatment may only intensify their challenges. The sooner help is sought, the quicker that parents can address the needs of their children. With both one-on-one therapy sessions and group behavior classes, children with language delays can receive the support they require and move past the obstacles hindering their communication abilities. Is your child exhibiting delayed language skills? The Behavior Exchange can provide expert evaluation and assessment for families residing in the greater Dallas area. To schedule a consultation with one of our behavior disorder specialists, call (972) 312-8733. What Are the Social Development Milestones for 2-Year-Olds? The developmental phase that parents often refer to as the terrible twos is just one aspect of toddler social growth. This video discusses what parents can expect from their 2-year-olds and how they can nurture their development. Toddlers are eager to demonstrate their independence, which is why they may become disagreeable at times. They also tend to play on their own rather than engage other children. Parents can foster positive behaviors in their 2-year-olds by showing them how to interact appropriately with other people. By modeling how to share toys and take turns, parents can teach their toddlers proper social skills. Is your toddler not displaying the social development milestones common for his age? The Behavior Exchange can help. Call our Dallas area office today at (972) 312-8733 to learn more about our behavior classes.